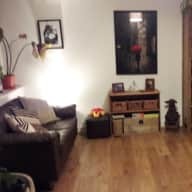 PET/HOUSE SITTING IN SCOTLAND or IRELAND wanted after September 15, 2019. I am a semi-retired school teacher working at Edgewood Campus School in Madison, Wisconsin. I have four children and five grandchildren. 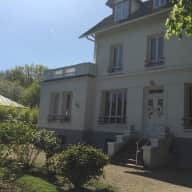 My first Trustedhousesitters opportunity in Vaucresson, France, was completed on July 18, 2018. I have assignments in Bristol, UK and Stansted Mountfitchet, UK scheduled during the Christmas holiday. 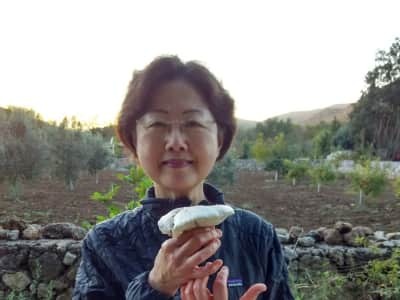 I thoroughly enjoyed my first Trustedhousesitters opportunity in Vaucresson, France, from late June to mid July, 2018. Great sits in Bristol, UK, and Stansted Mountfitchet, UK, Christmas Holiday, 2018. I have four adult children and owned a home for more than twenty years. With the children came pets: cats, dogs, birds, hamsters, and one very odiferous ferret.The entire family was involved in the care of our pets and home. I live in an apartment with two Siamese cats, Murph and Finn, who have great care while I travel. Mark is an excellent sitter. He is well organised, tidy and gets on well with dogs. Kas was very happy to be left in his care and he was always available to check in with on her. I would gladly use Mark again and would not hesitate to recommend him to anyone else. I can't praise Mark enough. He is absolutely a fantastic pet sitter! Mark arrived a few days before my departure so that Benji and Mia could get to know him and get used to him. He was very keen to spend some time with my dogs as soon as he arrived, I did not expect so much generosity! He took Mia and Benji out for walks from day one and I was very impressed with his kindness and efforts to make it work. Benji needs more time to trust people and Mark did become his best friend! 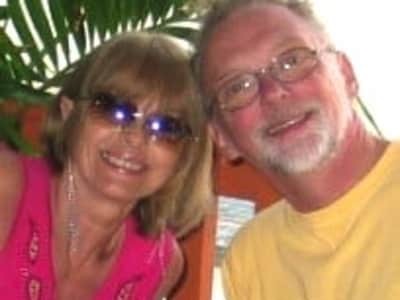 I am a real worrier but Mark certainly put my mind at ease and when I left my dogs with him, I was totally relaxed about it and far from worried about Mark's ability to care for my precious pets and home. Mark kept in touch when I was away and sent me photos of my pets in their walks and I knew I could have not left them with a better person. I returned a few hours after Mark's departing time and when I got home, I found a very clean and tidy home and two happy dogs. I even found evidence of Mark's generosity and kindness as he left presents and a card and he even got me brown sugar I had run out with! I was speechless with his kindness. I feel I have not only found the best sitter for my dogs but also a new friend and will indeed keep in touch with Mark. We will miss 'uncle' Mark! I highly recommend Mark to other pet owners. He s a real gem! one in a million. We would like to thank Mark for his excellent care of our pups Wonton & Bitzy. He took great care to feed them properly, take them on walks, & the dogs were sad when he went home. He did a great job caring for our home. We are hoping that Mark will return some day. We enjoyed having him. Thanks again for everything! Mark has watched our dogs, and cared for our home, several times over the past few years. He does a great job and is trustworthy/reliable. It has been my pleasure to know and work with Mark Powers. Mark is a very genuine person and loves to be around people and their pets. He always goes above and beyond in everything he does. Mark is very conscientious and makes sure that every last detail has been completed. I am happy to recommend Mark Powers for a position with the Trusted House Sitters program. If you have any questions, please contact me. Mark Powers is dynamic, trustworthy, and responsible individual. Mark has worked with my staff and students during the school year as a part time "retired" teacher. As a distance runner, it is clear he enjoys keeping busy and working hard. Mark is kind, humorous, dependable, and collaborative. He has a true gentleman and caretaker, who is respected by my staff, our students, and our families.